Garden Loppers are usually the most essential go-to-tools when you are faced with the job of cutting through the branches that are usually thicker than an inch or so. These are the times when your pruning shears that are usually used can get broken or an even a heavy duty pruning saw can almost kill the entire thing. But this is the time when you need your loppers. This brief guide will help you to determine what type of garden loppers you could go for along with many other information that will enable you to go for the right one. So here we are with a brief overview so that you can get your hands on some of the best garden loppers available today! Why do we need a garden lopper? Technically, garden loppers are sort of pruners with a longer handles and are usually used to prune out the smaller branches and twigs that are usually over an inch or two. If you still unsure about why you would need loppers instead of pruners, then perhaps this bit of information that the long handles of the loppers will give you the extra reach allowing you to cut those thicker branches without straining yourself. Usually, garden loppers do come in different sizes, styles and of course, not to forget with different price tags and ranges. But it is up to you to decide which one you would be needing for pruning the branches. The kind of pruning you require will determine what sort of lopper you will buy along with your budget and other considerations. It is very important to get the right kind of lopper for you if you want to get the best pruning experience. As for the types, there are two basic types of loppers available these days. The first one is the bypass lopper and the latter one is anvil lopper. Bypass loppers are among the most common loppers available today. They consist of two blades that are set in a position similar to scissors. Bypass loppers are ideal to give you a clean cut on live wood and they will also allow the plants to get to their healing part rather quickly too. One downside is that they tend to get jammed if you are going to use it to cut dead or dry branches. Now we are onto the second one! Anvil loppers are not as popularly used as bypass loppers but they also do have their uses. These anvil loppers are composed of one straight blade much like a knife. They are usually used best on dead or dry wood or branches. These are also used for cutting thicker branches as well. Fiskars is a fine and well reputed garden lopper brand from China. 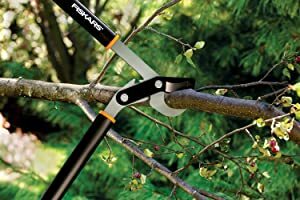 The Fiskars 28-inch is a premium quality Bypass Lopper that is designed to provide smooth and easy cuts on live trees or rather, live tree branches. These are very comfortable to use as well. It has a hardened and precision-ground blade that is designed to stay sharp for an extended period along with a coating of low-friction that helps to keep it rust free for a long time. It has shock absorber bumpers that helps to remove the jarring conclusions the stays at the cutting ends. The Fiskars 28-inch also comes with comfortable grips that helps the hands not to slip when cutting awkward angles. This bypass lopper can be a great choice when you are looking for a lopper to cut bigger tasks. As mentioned before, the hardened stainless steel blades gives you the cleaner cuts when cutting live trees. A bit on the heavier side so a smaller person might have some issues with overhead use for extended period. Ques: How long the handles are? Ans: The handles are 22″ long. Ques: What type of warranty is there with these? Ans: Fiskars products are guaranteed for life. Ques: Is the length on these trimmers adjustable? Ans: Unfortunately no because these are fixed length. Ques: Where are these loppers made? Now we are here with another fine lopper from Fiskars. A heavier lopper than the 28-inch version, the FiskarsPowerGear2 Lopper comes with patented technology from Fiskars itself that multiplies the leverage to provide an incredible 3 times more power on each and every cut. So you understand what this means, don’t you? This means that whenever you are stuck while cutting a branch that seems heavier or tougher than the other portions, this Fiskars PowerGear2 will automatically boost the power to cut those thick branches where most of the traditional loppers would fail. It also comes with an updated design that includes modified gears. It also has an incredibly ingenious and innovative cam mechanism that is designed to enhance the cutting power. All things considered, the Fiskars 32 Inch PowerGear2 Lopper is a bomb that in the world of loppers and currently considered one of the best garden loppers. Now that we have covered Fiskers PowerGear2, let’s head back a bit and take a look at another of Fiskars Bypass Lopper that is quite similar to the previous one. Yes, our next pick is the Fiskars 32-inchPowerGear Bypass Lopper that is designed to give 32 inches of pure lopper performance.This 32-inch monster is a superior-grade tool that is at the same time stronger, lighter and not to forget much more powerful than most bypass loppers available in the market today. The Fiskars 32-inch PowerGear has a very unique mechanism when it comes to the gearing this machine as it is designed to multiply the cutting force by as much as 3x times. Like its successor the PowerGear 2, this PowerGear also has the ability to remove the jarring conclusion that surfaces at the end of each of your cuts. The Fiskars 32-inch Power Gear also comes with precision-ground blades that are also razor-sharp. It has this wonderful bypass-blade design that gives extra boost for cutting living trees. It has the capacity of cutting branches of 2-inch diameter. The PowerGear also has this geared action that makes the this 32-inch bypass lopper extremely easy to use. When it comes to pruning usually the weight of the tool and the way your hands and fingers are positioned can be the source of some joint and muscle pain that is evident in some loppers. 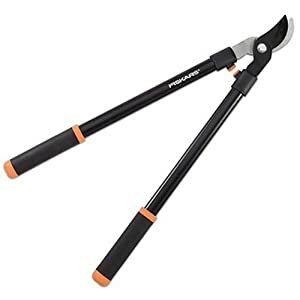 But in case of Fiskars 32-inch PowerGear model, the ergonomics are designed in a way so that you never have to go through muscle pain due to pruning again. However, excessive use of this tool may cause some pain which is a normal bodily function. The Fiskars 32-inch Power Gear also increased its power while it reduced the effort required to put it to use. If we have to sum it up simply, then we have to say that Fiskars 32-inch Power Gear has been indeed designed to make pruning easier. The best thing about this tool is that its leverage is also nearly good as its successor – the Power gear 2 model. It also uses reinforced fiberglass materials that ended up making the handles much lighter. Ques: Difference between the powergear and powergear2 models 32 in bypass Fiskars loppers? Ans: They both work well but powergear 2 is the newer model among the two. But the basic difference is that the newest one has more leverage so that the cut goes with a bit less force. Ques: What is the country of origin of this product? Ans: Although all these Fiskars products are now made in China but originally Fiskars is from Finland where it was planned and developed. Ques: What is collapsed length of handles and extended length of handles? Ans: First of all, the handles don’t extend. Total length is 32″. Fully closed, handles are 32″ from tip to end of blade, handles are 8.5″ apart measured from handle tip. Fully open handles are also 32″ from tip of blade to end of handles. Handles are almost horizontal or in straight line. Handles are fixed and do not extend nor collapse. Can be a problem in tight spaces, but leverage is fantastic. Ans: The Fiskars 32-Inch PowerGear Bypass Lopper is not heavy. The long handles are made from aluminum. This cutter does not require much effort to cut. The Black & Decker LP1000 Alligator Lopper 4.5-Amp Electric Chain Saw is an ideal tool for pruning tree branches up to four inches in diameter, cutting branches into manageable pieces, and cutting fallen branches after storms. Its 4.5-Amp motor provides powerful, fast cutting and its innovative clamping jaws grab and cut in one easy motion. Also included is a heavy duty cutting bar and chain to deliver fast cutting of thick branches and logs. With a six-inch bar length and with a weight of 6-1/2 pounds, this electric chain saw comes backed by a limited 2-year warranty. The item as a new sealed factory box includes only oil. 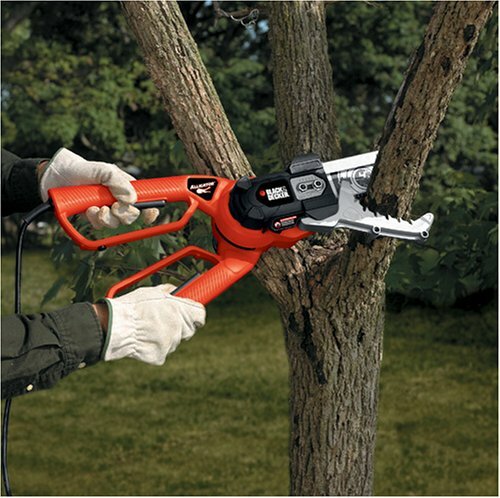 The Black & Decker LP1000 Alligator Lopper 4.5 Amp Electric Chain Saw is an ideal tool for pruning tree branches up to four inches in diameter, cutting branches into manageable pieces, and cutting fallen branches after storms. Its 4.5 Amp motor provides powerful, fast cutting and its innovative clamping jaws grab and cut in one easy motion. Also included is a heavy duty cutting bar and chain to deliver fast cutting of thick branches and logs. 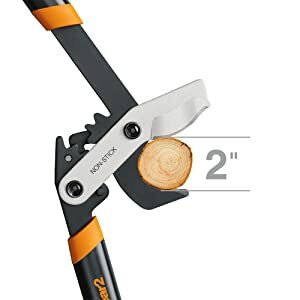 It has a 4.5-Amp motor that is an excellent tool for innovative grabbing facility that enables the Lopper to grab and cut the branches swiftly in a motion. Some users have mentioned that while the tool is very good, its chain needs to be tightened and oiled after a while. Especially frequent tightening of the chain might be required which can be a bother sometimes. But otherwise, it is a great product. Ques : Is it heavy? Ans: No, it isn’t heavy or bulky, about the weight of an electric chainsaw. Ques : How do you know how much oil to put in? Ans: Fill up oil reservoir after 10 minutes of operation; not sure how much, but the manufacturer supplies about a 6 oz squeeze bottle, but does not specify reservoir capacity. My guess is about an oz. Ques : what is the longest distance you can safely reach with a power cord? can you use two or more cords to extend distance? There is data in the Black and Decker instruction manual. This tool has a 4.5amp motor. For extension cords between 51 to 100 feet, your extension cord needs to be mad from 16 ga. electrical cord. For most homeowners, your extension cords (not the cheapo cords you use for electric lamps or irons inside your house) are 16 ga. So if your need to extend is from 0 – 100 feet for the Allligator Lopper, you are set. If you need up to 150 feet, then you should go with a cord built from 14 ga wire. Remember, this is only good for tools that have at most 6 amp ratings. Ques : Has anyone tried cutting palm fronds with it? The Tabor Tools GL16 is another Bypass Lopper that has caught our eye and definitely should be listed as one of the finest loppers available in the amazon marketplace these days. The GL16 has the capacity to cut those 1.25″ diameter thick branches effortlessly in the blink of an eye. Well, that was a bit figurative expression, but in truth it really has the capability to power through these branches with just a quick chop. It is essentially designed for fast and point-to-point pruning. The GL16 also comes with a comfortable grip accompanied by a shock guard. 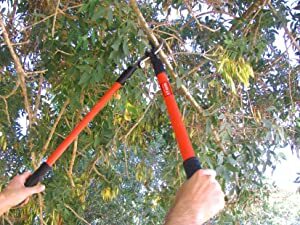 The grips are made of rubber and it has 30-inch height that allows the user to cut the branches using extra strength and leverage easily. Its handles are ergonomically designed for a fine grip and the shock absorbing technology is a blast. The Tabor Tools GL16 also has this hardened carbon steel blades that will ensure that the blades will remain really sharp for an extended period as well. The blades are also low-friction coated, which means they can easily be sharpened on demand. Comes with rather limited range of cutting thick branches as it struggles anything with a bigger than 1” in diameter. Ques : Where is product made? Ques: What is the warranty? Ques: What are the handles made of, steel? Ans: The handles are made of alloy. We are pretty much sure that when it comes to loppers, the said five loppers are among the very good! So, don’t worry about anything else and take your pick without further delay. Having a lawn mower is very handy for homeowners with a garden or yard that must be maintained. 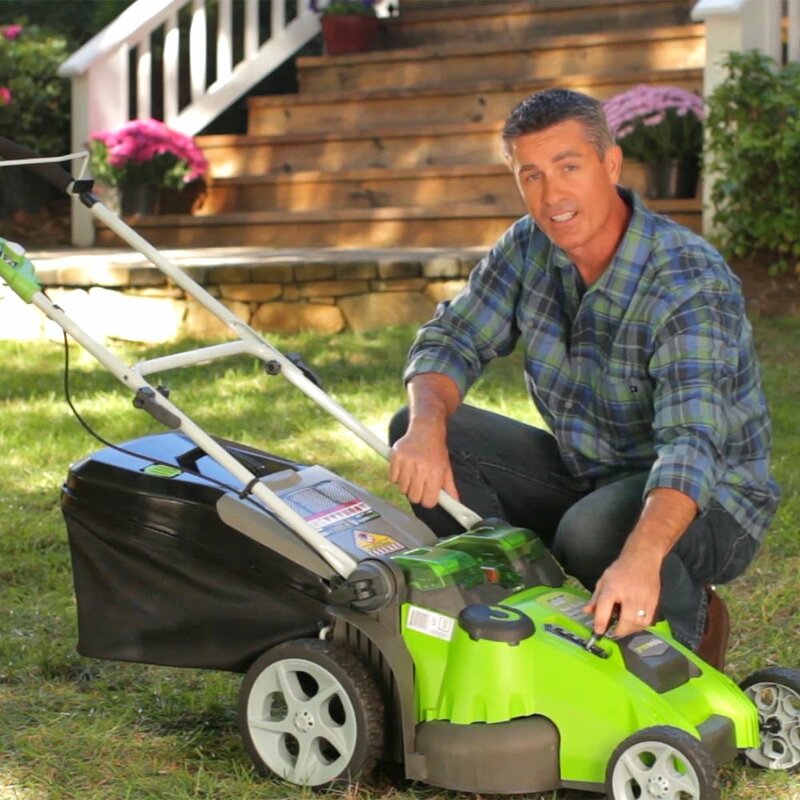 However, buying a lawn mower could be a daunting task for many homeowners who are unsure of the best model that is most suited to their mowing needs and maintenance. Moreover, there is a particular season for buying a lawn mower to enjoy the best deals in town just like any item to be purchased. Impulsive buying does not augur well with homeowners as there would be regret later. Buying any unit of lawn mower must be at the right time and place to enjoy more savings and benefits. 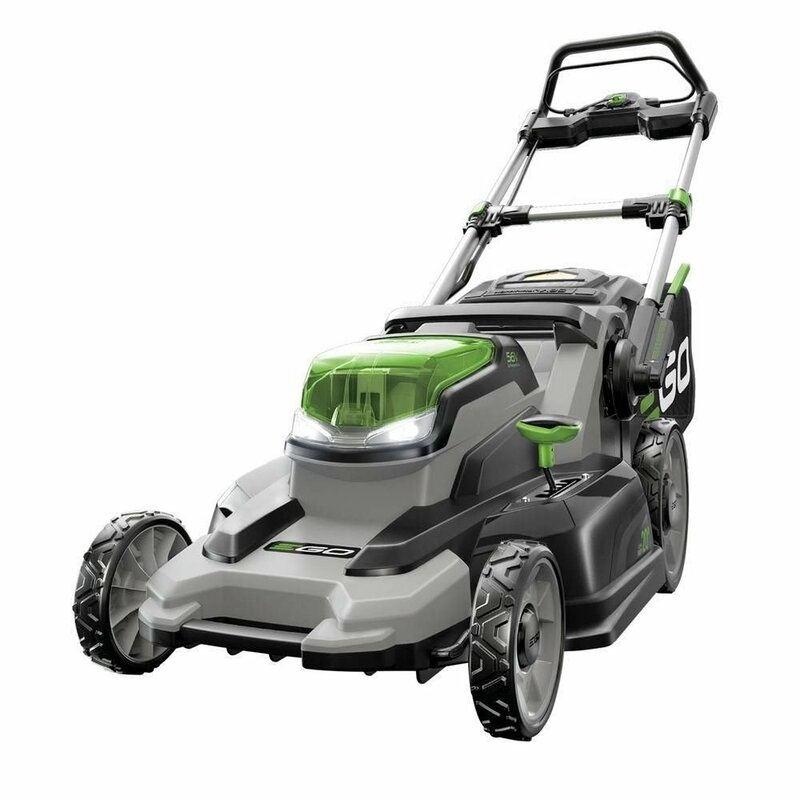 It is noted that the market offers various seasons for buying a lawn mower as there would be different offers and pricings on different models. There are seasonal promotions which the manufacturer or vendor may farm out to clear their excess stock. Some companies may practice a seasonal sale program to maintain their production dynamics over the year. Certain lawn mower manufacturing companies exercise a lean manufacturing of these mowing machines to ensure a consistent high quality that offers good performance and efficiency. Hence, these companies are not adversely impacted by surplus stock like other companies without a proper stock management program or system. Buying a lawn mower takes more than intuition as the best shopping season could bring in more benefits to buyers. The market has plenty of resources to assist mower buyers in securing the best deal. A lawn mower may be a simple machine that is enhanced through advanced technologies, but it still comprises many essential components that must be well maintained to enjoy continual functioning. Due to wear and tear, these components would need to be repaired and replaced even with regular maintenance. With the frequent usage of the lawn mower, parts are required from time to time, which smart users may want to stock up a few more frequently used items. The availability of these parts would ensure that the mower is usable at any time as the hardware shop could run out of stock at the inopportune moments. 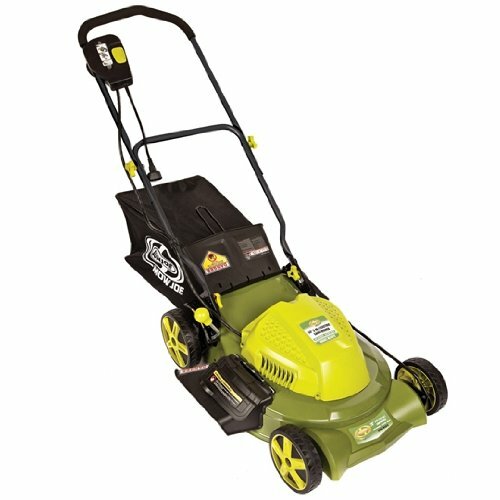 There are many brands and models of lawn mower parts in the market which could be quite confusing to the amateur buyer. Many lawn mower components look similar but differ slightly in size or shape for different fittings and functioning in various models. Buyers must be careful to buy the right replacement part required for their mower. We are assuming that you, sir, are a gardener. You know a lot about gardens, and you know how to grow beautiful flowers. 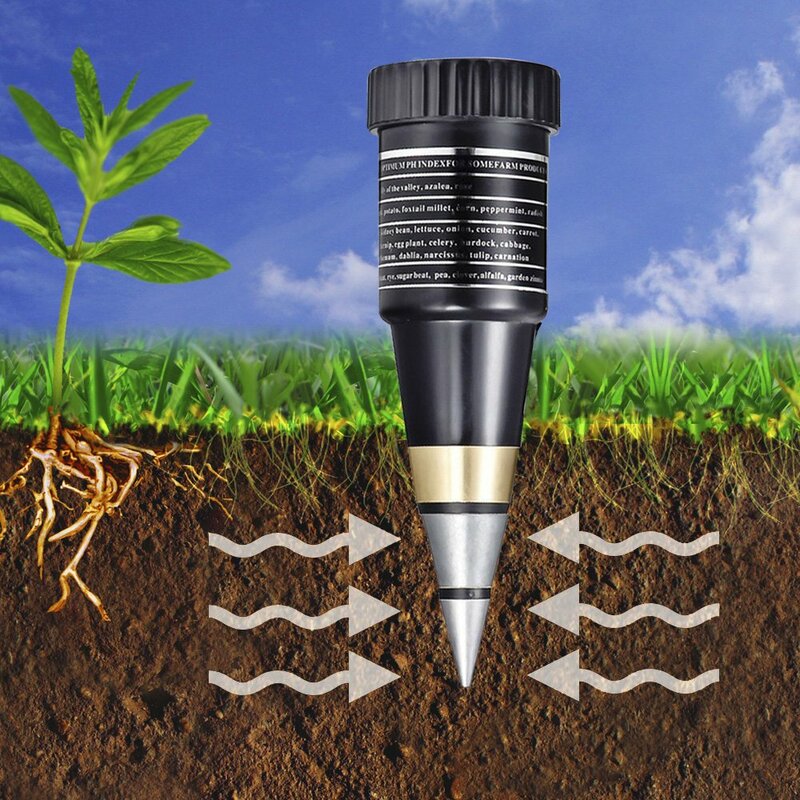 However, do you know that you need the best soil pH tester to make sure that your garden stays as beautiful as it already is? Anybody who has taken high school chemistry knows what pH is. Basically, it is a measure of how acidic or basic water is. The scale goes on from 0 to 14, where a pH of 7 is considered to be neutral. That is why we say that water has a pH of 7, which implies that water is neither acidic nor basic. Any substance with a pH of less than 7 is considered to be acidic, and any substance with a pH higher than 7 is considered to be basic. Okay, we all get it. But what does it have to do with gardening? When it comes to gardening, the pH of the soil is very important. The pH level of the soil influences the way grass and plants absorb various nutrients from the soil. Hence, testing the pH level regularly is a precondition of having a lively and healthy lawn. But why exactly should we test the pH level? Let’s answer that question first. Why do we need a pH tester? We’ve already said that the pH level of the soil influences the way plants absorb various nutrients. But how does it do it? Basically, the acidity or the alkalinity of the soil is determined by various elements available in the ground. For example, if there is a large amount of calcium available in the soil, the soil is going to be basic. It is always an eye soothing to have a green and fresh and beautiful lawn on your yard. 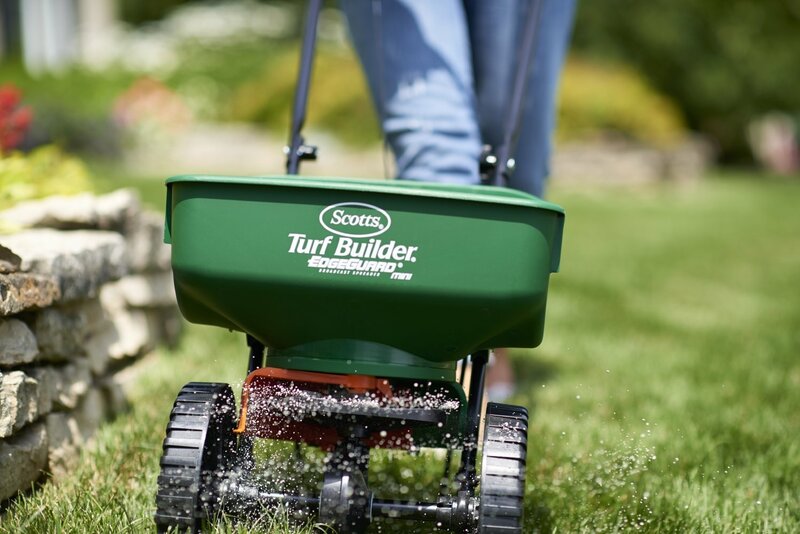 However, keeping the lawn green and beautiful isn’t always easy, unless you’re using the best fertilizer spreader there is. You have to keep it in check, so that the weeds don’t take over your lawn, so that insects don’t start breeding, so that it always looks green and fresh. However easy it might sound, the work is anything but. Hence, we are here to lend a helping hand to you. We will be providing you with a proper guideline, so the daunting work of looking after your lawn becomes easy and joyful. So first things first, what does your body need to function properly? The answer is food. The grass in your lawn isn’t much different. It needs food as well. However, since it can make its own food through the process of photosynthesis, all you need to provide them with a little bit of nudge, AKA fertilizers. But why? Let’s answer that very basic question first. Does your lawn need fertilizers? The answer is yes. For optimum growth, plants need various elements from the environment, and not all of them can be found everywhere. Even when the soil of your lawn is absolutely perfect and contains everything that a plant (or grass) could ever ask for, but with time the plants will absorb all the nutrients from the soil, and slowly the ground will become barren. To prevent that from happening, you need to provide the lawn with adequate fertilizers, and you need to follow a fertilizing schedule. That is the only way your grass will remain healthy and fresh, which is the first thing you need to have a clean and beautiful lawn. After all, what is a lawn without green, healthy and juicy grass? What kind of fertilizer spreader do you need? Now the question is, what type do you need? If you have a very, very big lawn (Like a golf course, maybe? ), you need a tow behind spreader. These spreaders are attached to a compatible tow truck or a similar vehicle, and the spreading mechanism starts working when the wheels turn. Hence these spreaders are very suitable for people who have extremely large lawns. 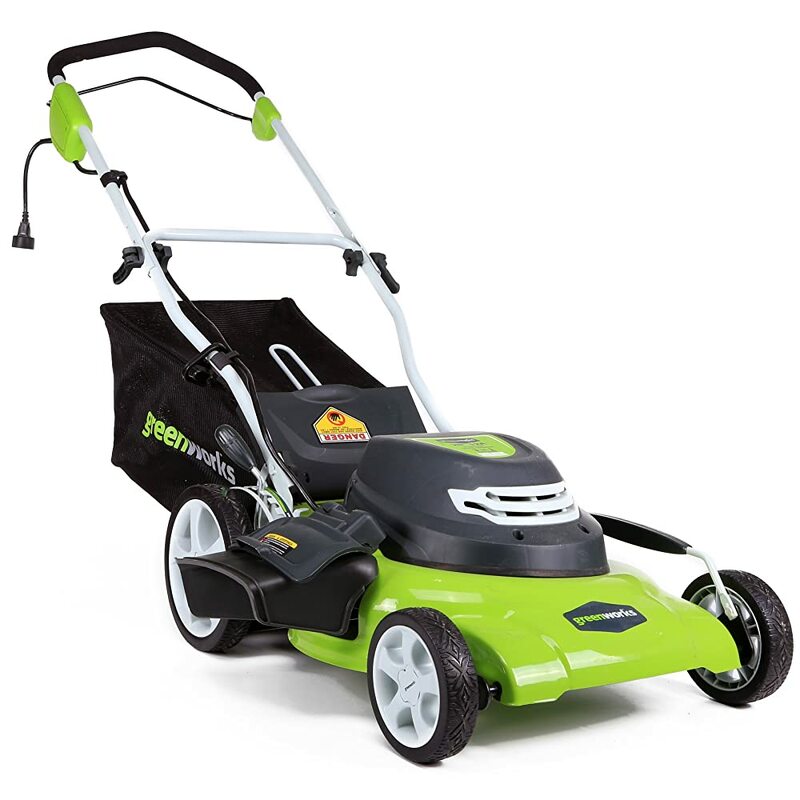 Given an opportunity to choose, most of us would go for one of the most convenient options while shopping for an ideal electric lawn mower to use in our gardens. Convenience does not however exempt us from the other responsibilities which any shopper is required to have. Careful shopping entails having adequate information over what you need to purchase and the place where it can be bought. 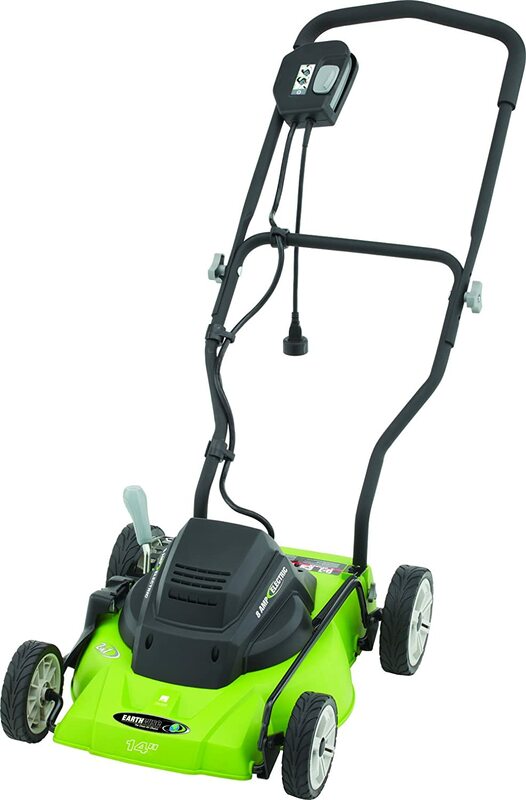 Buying an electric lawn mower demands that and even much more. 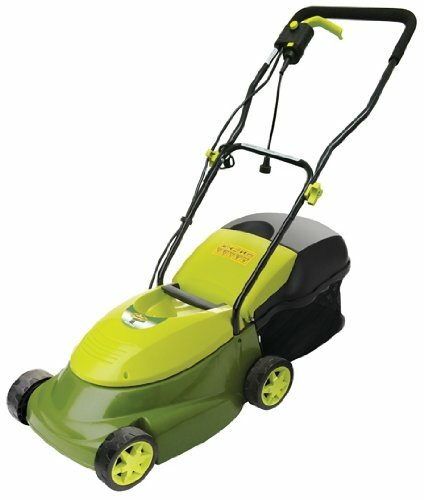 At times, the electric lawn mower we need may not be within our reach and scope, yet we have the means to buy it. 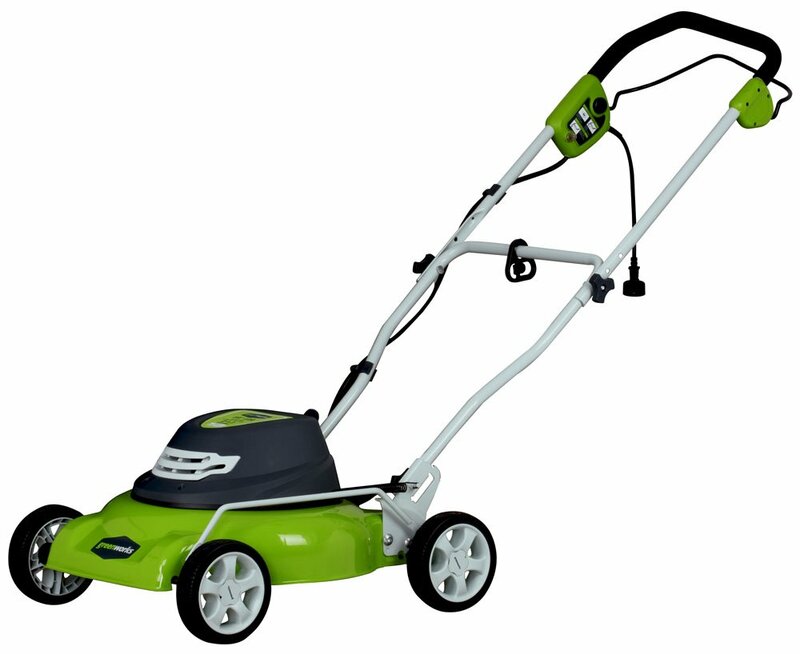 Many are the times when shoppers walk from one shop to the other looking for a specific item they had seen either at a friend’s place, electric lawn mowers would also give you such headache if you only knew. The place of buyer convenience then becomes one of the basic areas to look at when shopping. 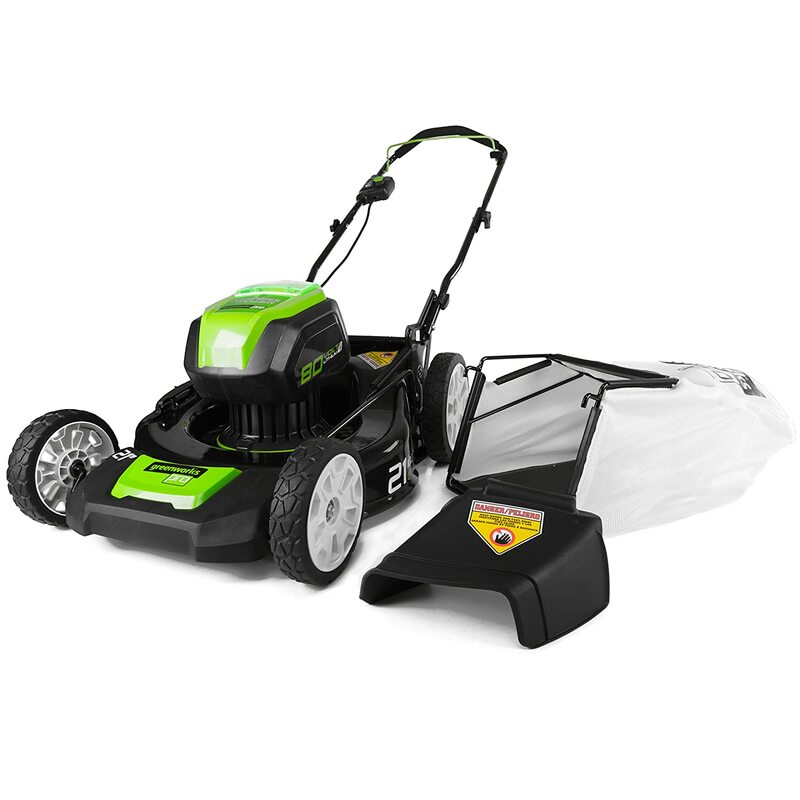 There are two known areas where one can buy an electric lawn mower. 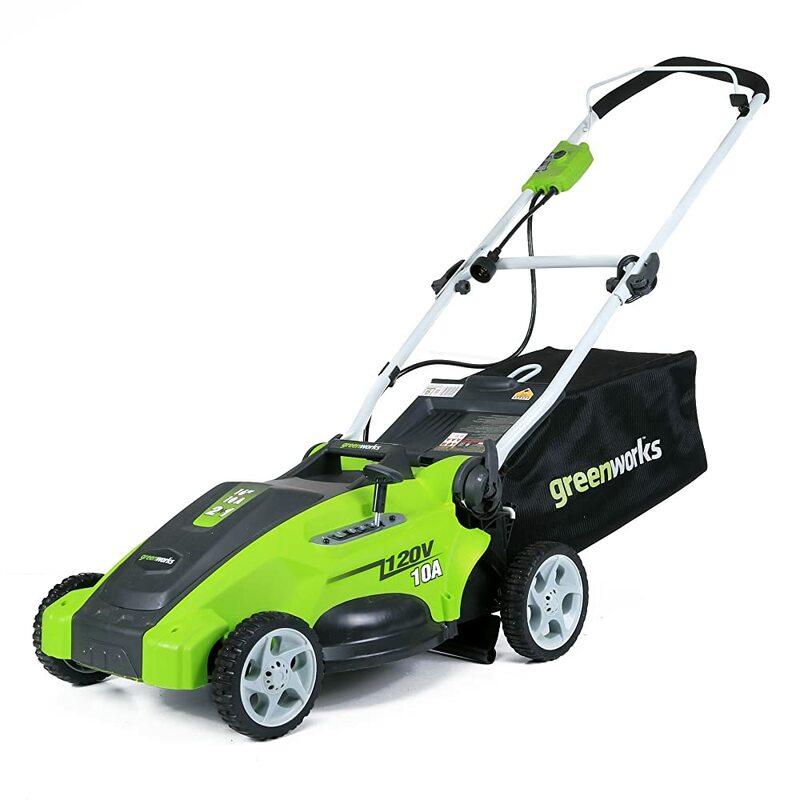 The brick stores and the online markets are known to offer virtually all the needs of the customers in electric lawn mower services and sales. 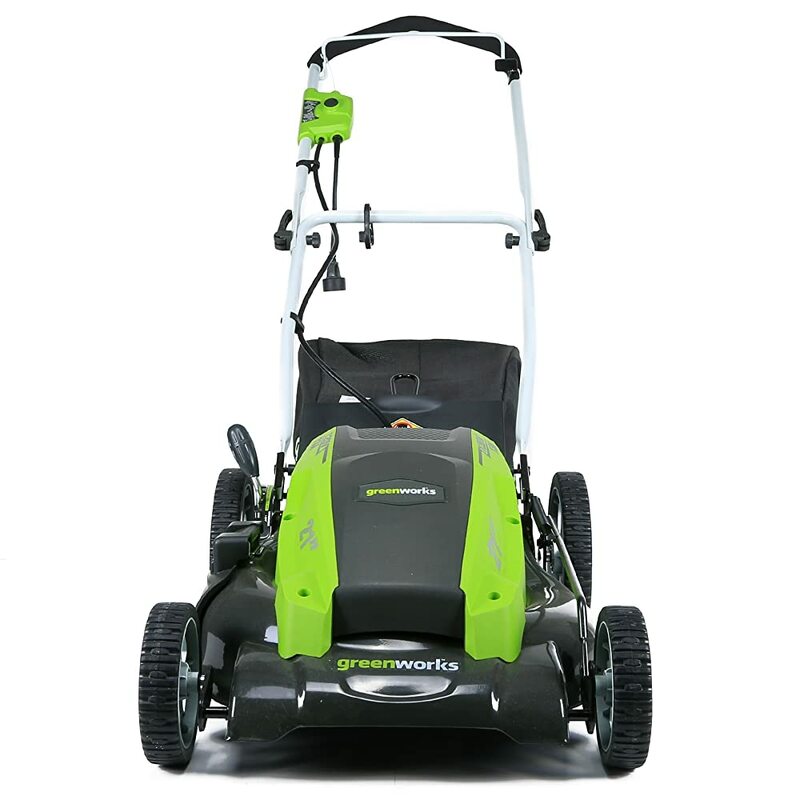 The debate on the numerous benefits of electric lawn mowers has been going on back and forth with a clear understanding on one fact that they are among the most environmentally friendly yet easy to use gardening appliances than most of the types of lawn mowers we have in the market. Because of lack of concrete buyer guides or in some cases mere ignorance, the electric lawn mower buyer process has been shrouded in a lot of mystery. Among the diverse areas which have been mixed up and made hard for the users is the area of lawn mower cost. 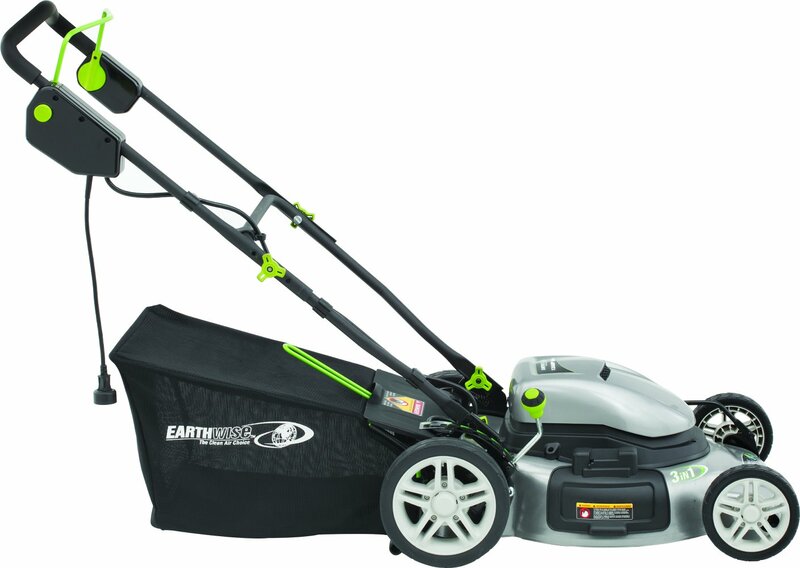 Because of its overall design, the expectation of having a cheap yet effective electric lawn mower is one fact which is disturbing among most users thereby they end up missing the whole goal-getting the best. But that need not to be appoint of concern anymore, especially after reading the contrast we have on cost and efficiency.